This week I moderated another Social Media Today webinar as part of their Best Thinker webinar series, this time on the topic of How Does Social Listening Change the Way You Do Business (and Create ROI)? This webinar featured Mikael Lemberg (@Lemberg) Director of Product Management at Falcon Social, Andrew Ashton (@AndrewLAshton) Digital Marketing Specialist, Pizza Hut and Greg Gerik (@ggerik) CEO at Gerik & Company. We discussed a ton of ideas on how to capture ROI or create impact using social media! 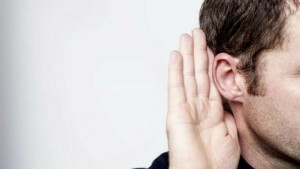 Don’t just listen to social media for listening sake, listen to social media with purpose! Our next webinar is titled The ROI of Influencer Marketing; be sure to sign up for it or view the schedule of other upcoming webinars here.